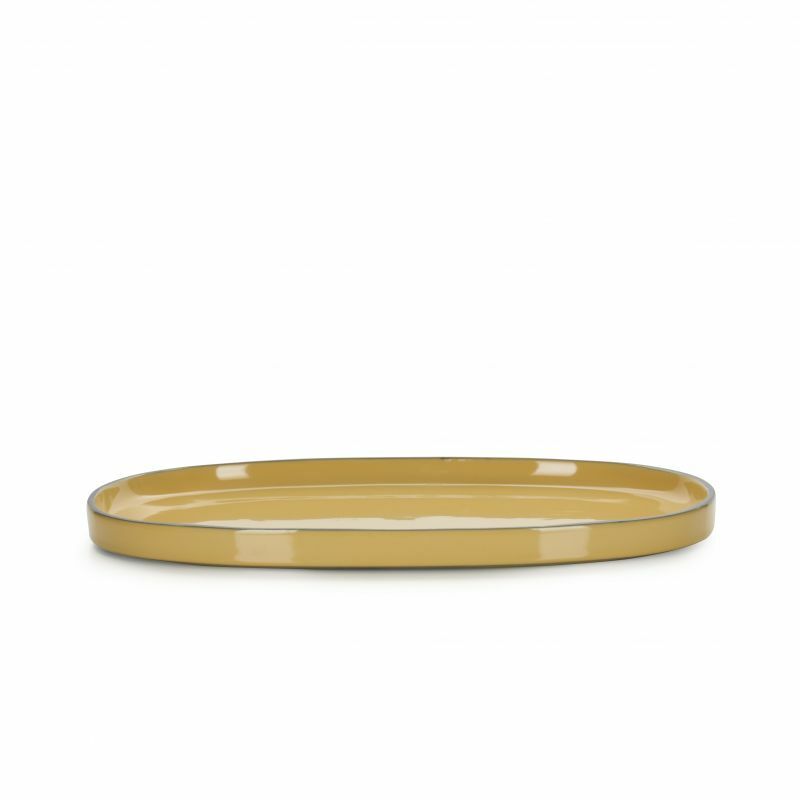 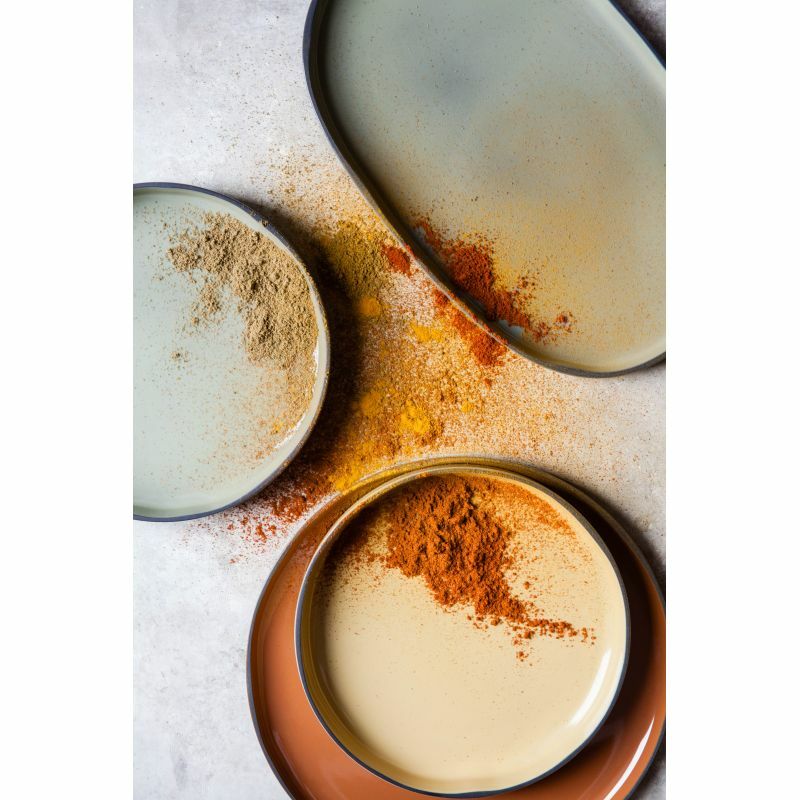 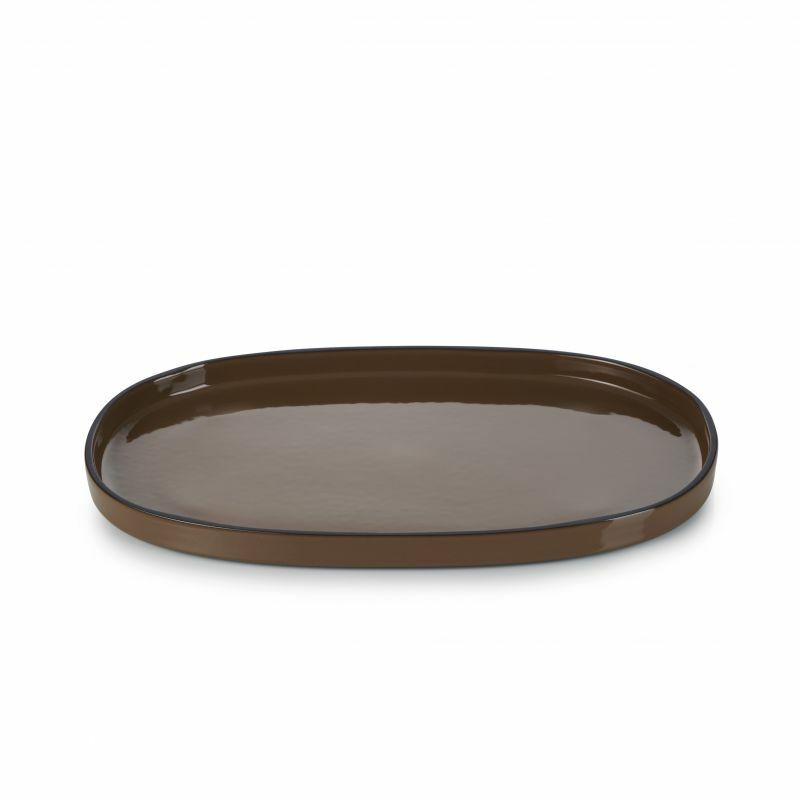 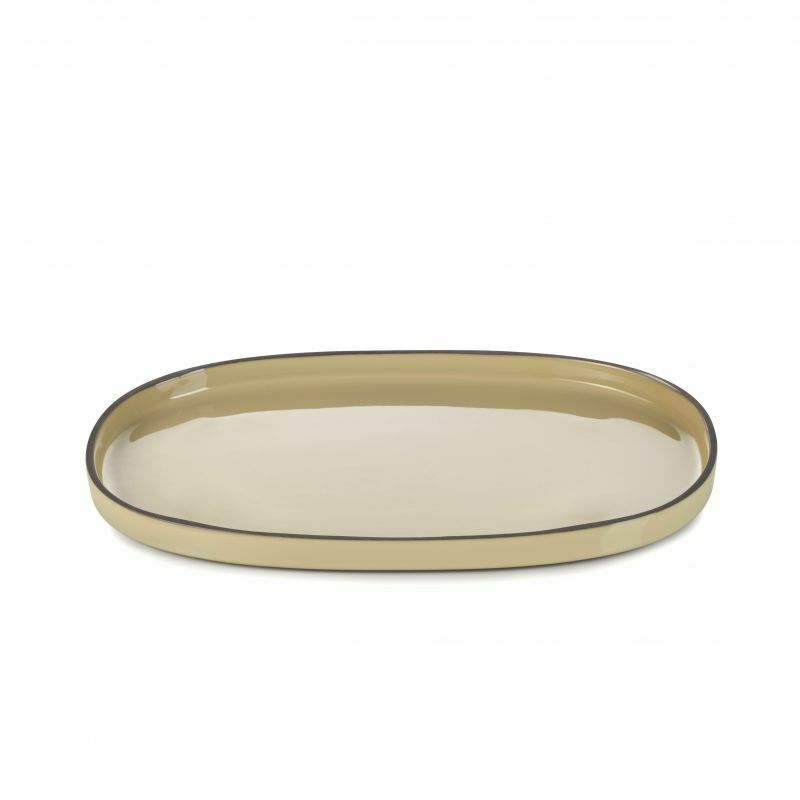 This large oval dish truly brings a natural, earthy and organic look to your table. 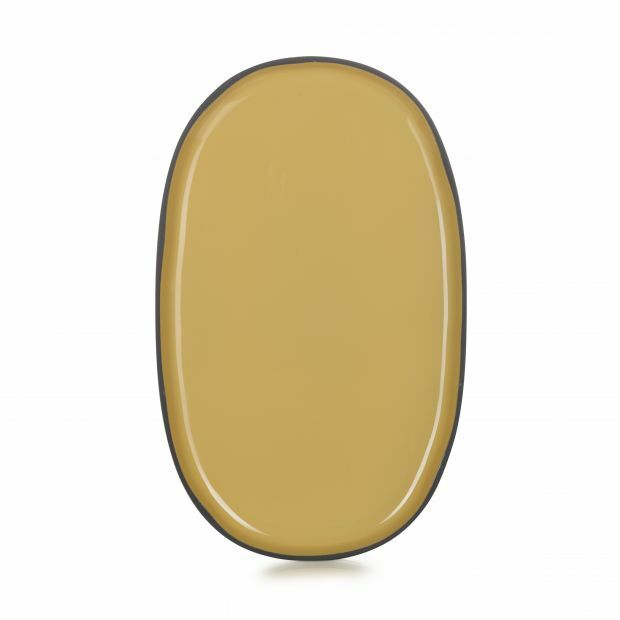 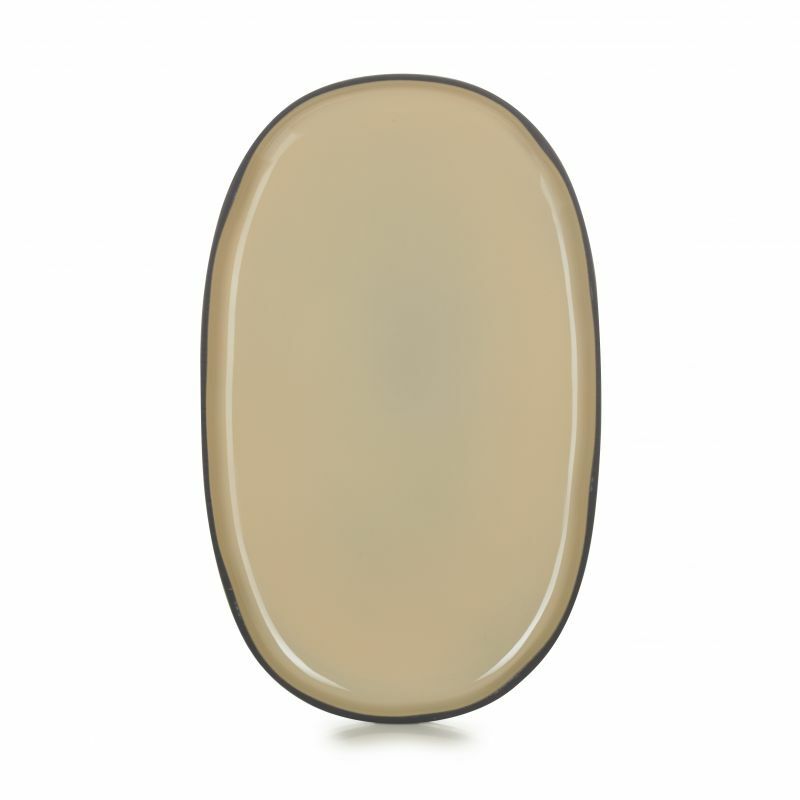 Available in 7 colors, surprise your guests with this beautiful shape of the range Caractere. 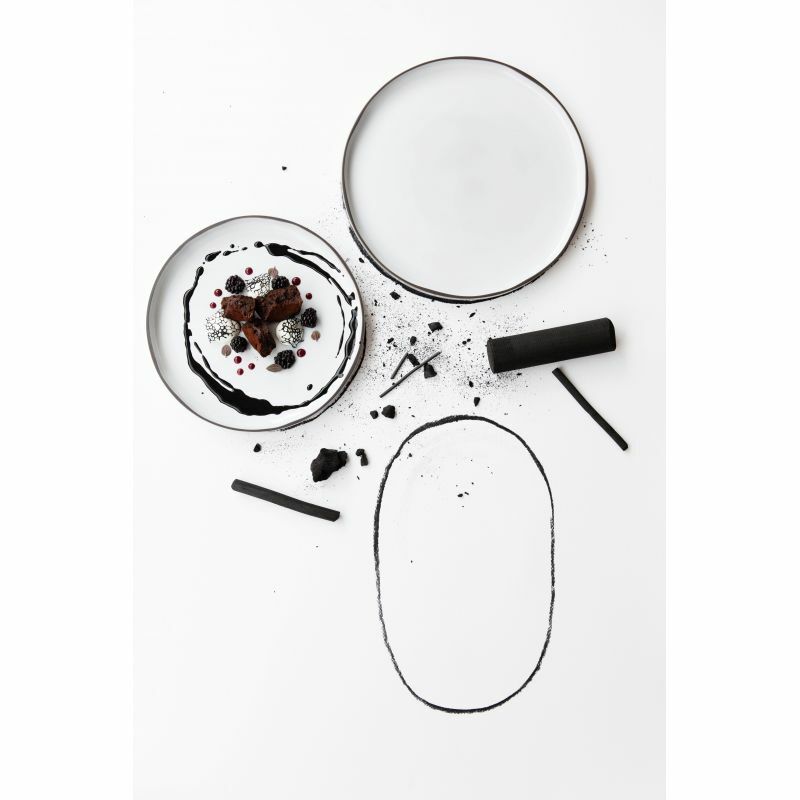 The entire collection is made of black porcelain clay all the way through. 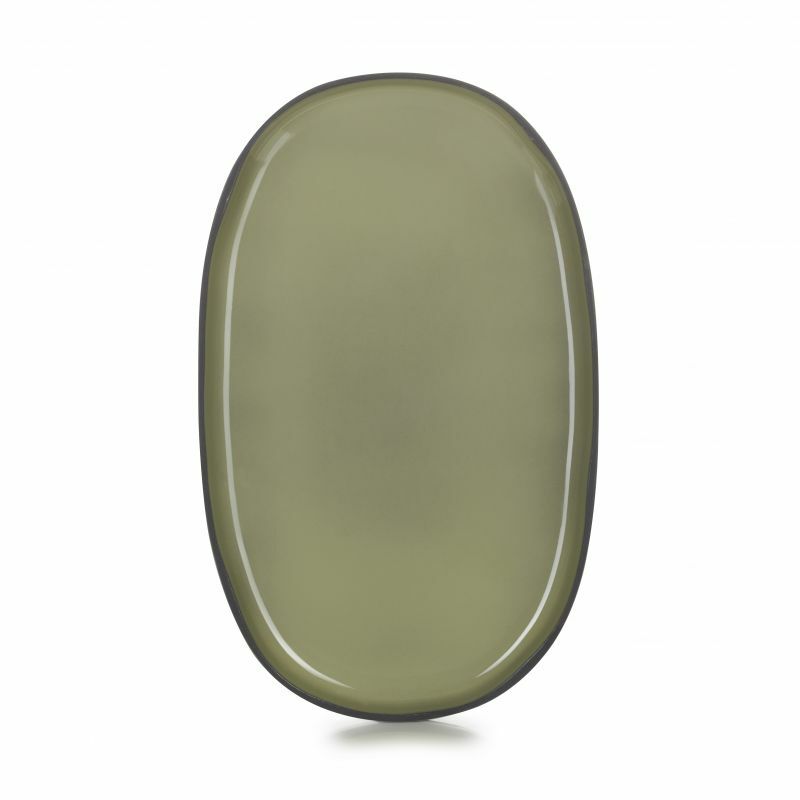 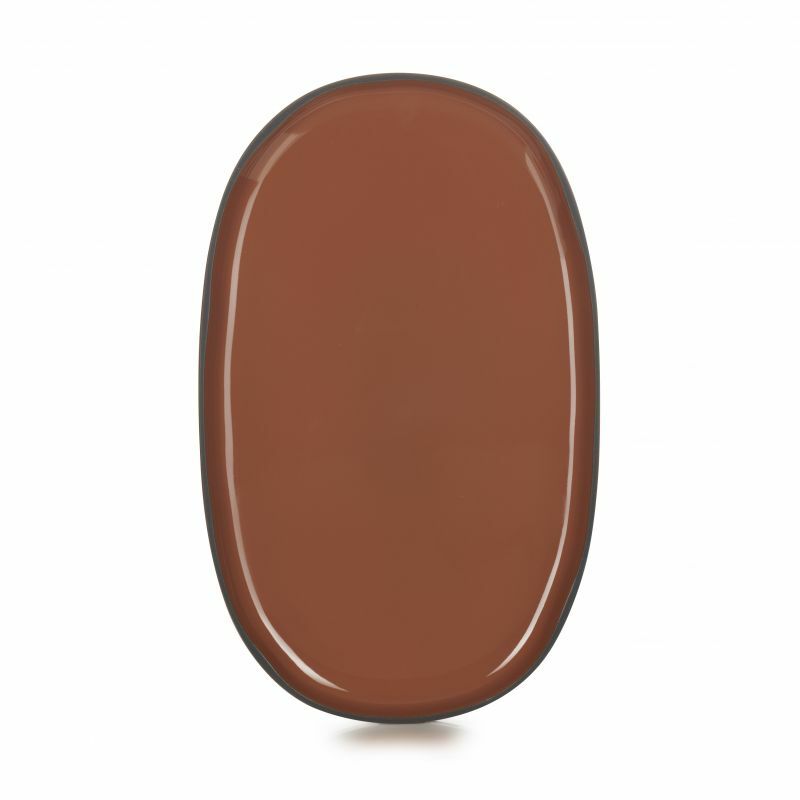 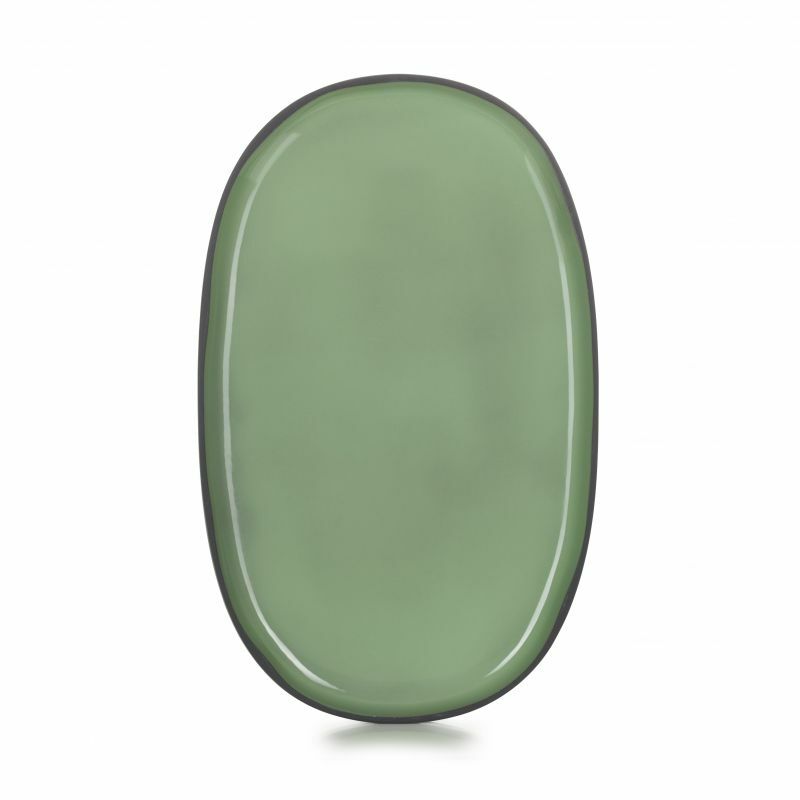 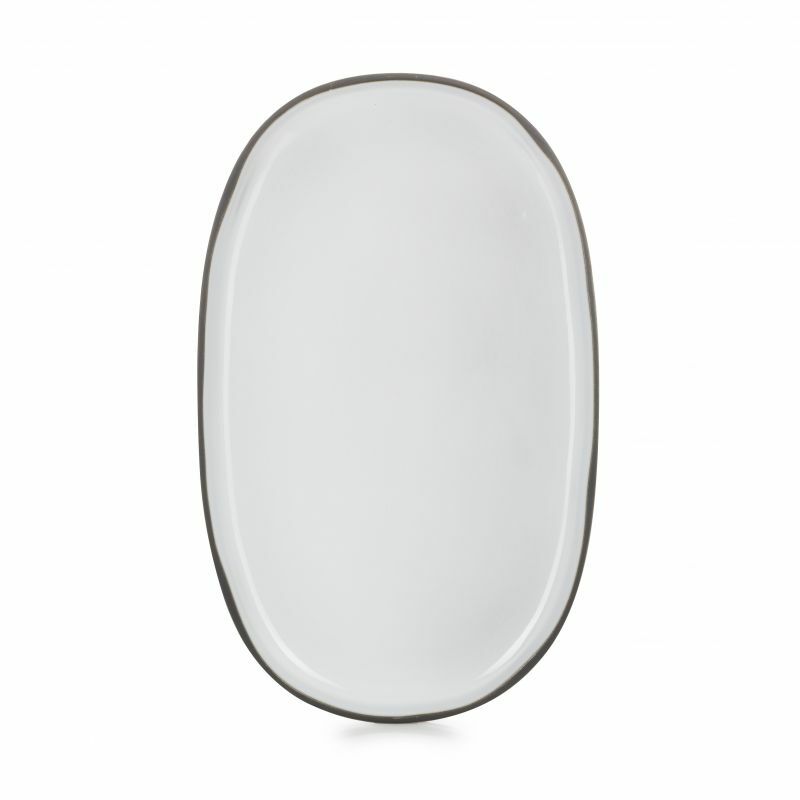 The un-glazed rim brings elegance and a casual finish to any plate setting. 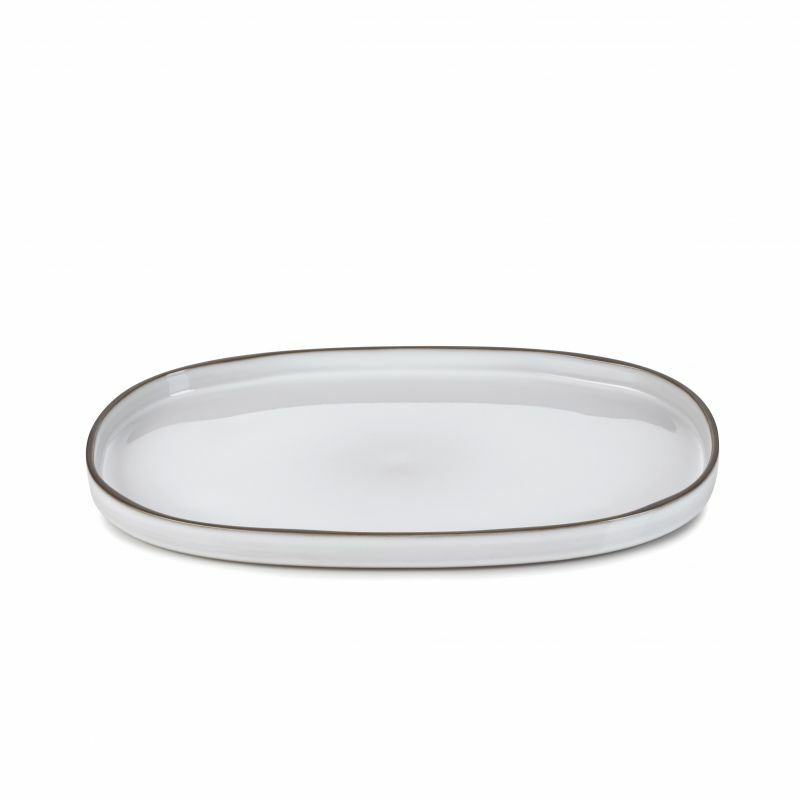 The oval plate is great to serve vegetables, a whole fish or cheeses.